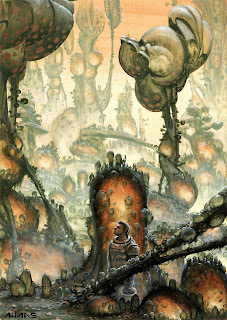 Yééh, my favorite subject: alien jungles, anything goes really in these places. This was my last/first painting of 2009/2010. It's a small one, 20 x 30 cm, 2 days of fun painting with open acrylics on paper.